case study Tech News Tips And Tricks How to do Paytm KYC Online? Hii Friend's Today we will talk about. 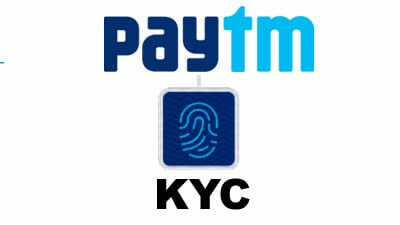 How to do Paytm KYC Online? To verify KYC in Paytm or to do KYC completion, add Paytm to Aadhar card. In addition to the Aadhaar card, you can also link your second document with Paytm such as Voter ID, Passport, Driving License, PAN Card, NREGA Job Card etc. However, it is not necessary to link Paytm with Aadhaar card. But Linking Paytm to Aadhar Card has become necessary in a way. As long as you do not link Paytm with Aadhar Card, you can not use Paytm completely. For example, if you want to send money to any other wallet, you can not send money linked to the Aadhar card or send money to any bank account. That is, you cannot pay money from Paytm. Apart from this, there are many other things that you can not link without a base card. Read also - What are the benefits of doing KYC Verification in Paytm? 1.) First, open the Paytm app. 2.) Now the KYC option will appear within the Paytm app, click on it. 4.) After entering the Aadhaar Number and Name, accept the following Terms and Conditions and click on Proceed. 5.) After that, there are KYC centers near you. All those names and addresses will be shown to you and they will be told how far they are from you. And an option to call them is also given. In the same way, you can link your second document with Paytm too. Such as voter ID, passport, driving license, PAN card, NREGA job card etc. And you have to go to KYC center to get verification of all of these. If you have any questions or want to say something then comment below. If you like more information, then like and share.